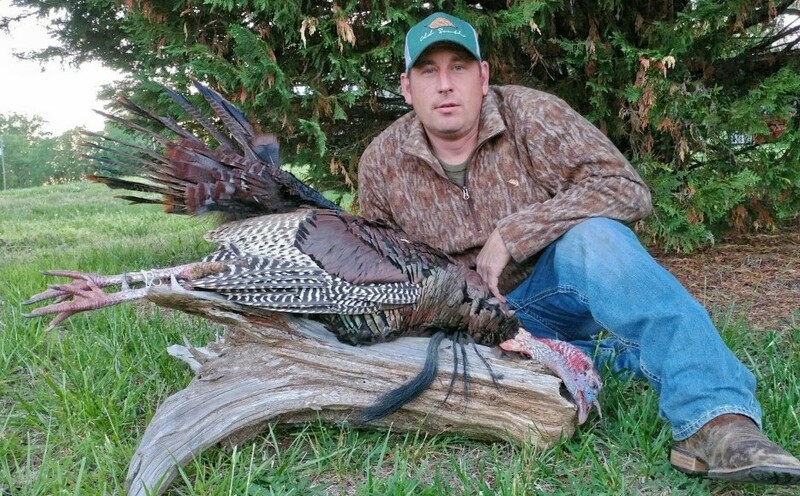 Tim Warren killed this gobbler on a Person County farm on May 2, 2018. 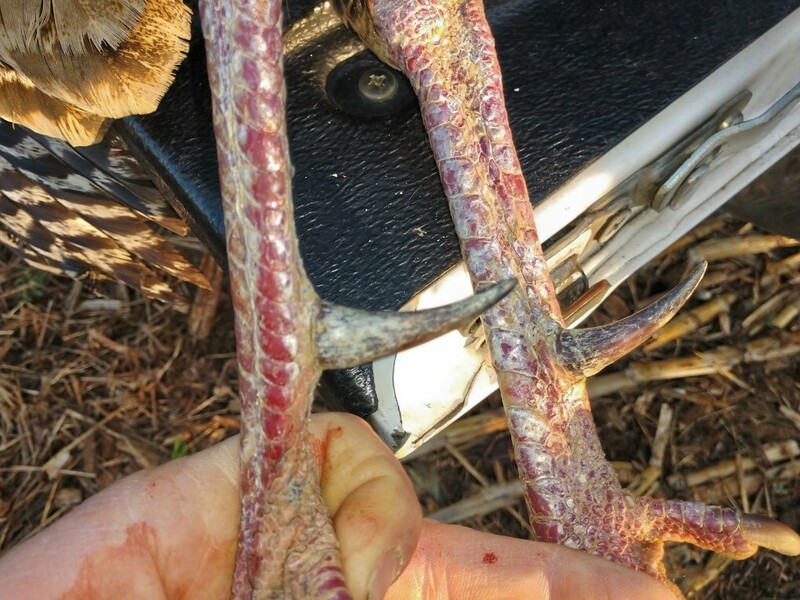 Warren’s gobbler sported four beards. 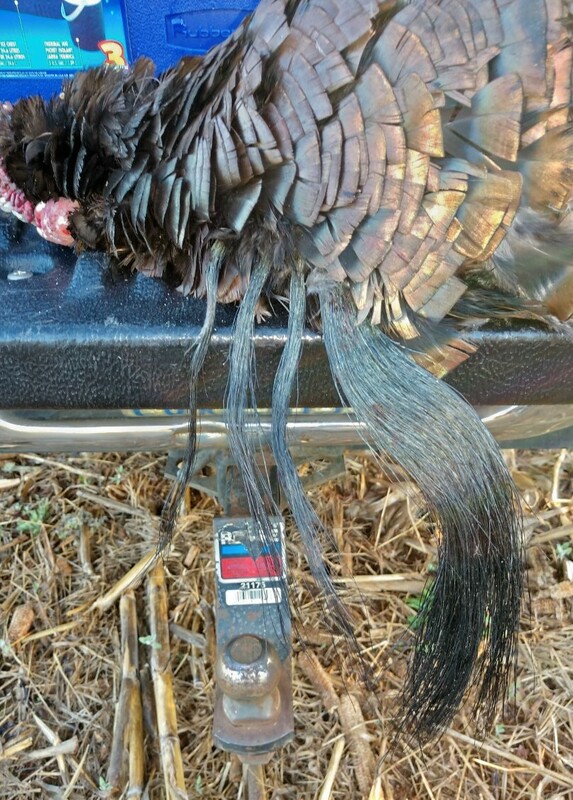 The spurs on Warren’s gobbler rank second all-time in North Carolina. 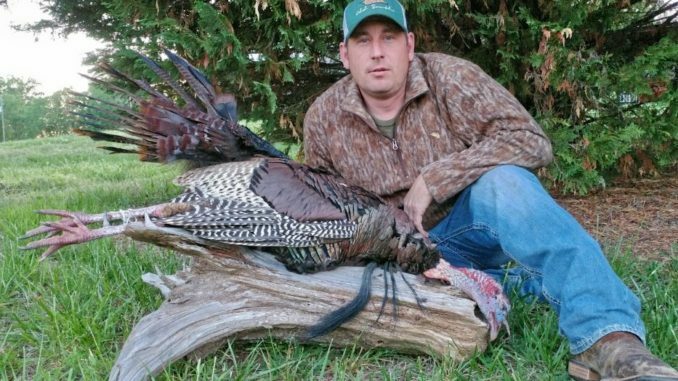 Magicians make a habit of pulling rabbits out of hats, but southeastern Caswell County’s Tim Warren figuratively yanked one of North Carolina’s all-time gobblers out of a hat on May 2. Then he literally did it again seconds later — after the bird had flown away. 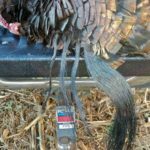 Not only did Warren bag a four-bearded turkey — without using a call — but he got the rare chance to anchor the bird a second time after his first shot at 25 yards. 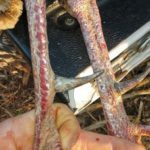 The 20-pound “atypical” (multiple beards) gobbler had chest brushes measuring 11.625, 9.500, 8.500 and 7.375 (37 total) inches and identical spurs of 1.750 inches. 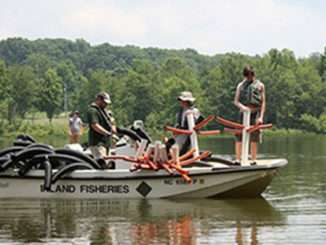 As scored by the National Wild Turkey Federation’s formula, its weight, beards and spur lengths added to 129 points, ranking it No. 18 all-time in North Carolina. The hunt actually began during rabbit season. Neither his buddies nor Warren, who arrowed a 10-point buck that grossed 162 inches at the farm in 2016, had seen the gobbler or any signs of its presence. They forgot about the turkey tale until late in the 2018 spring season. “I’d heard about ‘ghost’ gobblers my whole life, and this seemed like it might be one,” the 37-year-old vinyl-graphics installer said. That Wednesday Warren and hunting partner Ethan Rimmer of Cedar Grove parked a truck in darkness near the field where the turkey crossed regularly. The hunter made a slow loop in the woods to get nearer the bird, taking his time and making as little noise as possible. 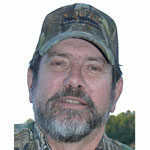 Dressed in full Mossy Oak Break-Up Country camouflage, including head mask and gloves, Warren didn’t use a turkey call. “I learned years ago if you’re 75 yards from a gobbler, get in shooting range and don’t call,” he said. Warren raised his Browning Gold 3½ automatic loaded with Triple Beard blended pellets, aimed at the bird’s neck and fired. Warren watched closely. A scared turkey often will sail hundreds of yards. This gobbler covered perhaps 30 yards before settling on a limb. “He was hunkered up in a ball; I knew he was hurt bad,” he said. A second shot brought the tom to the forest floor. Warren, who has taken “60 or 70” turkeys, said it was his first multi-bearded gobbler. The turkey’s 1.75-inch spurs tied for second all-time among N.C. gobblers with a 2002 Warren County bird taken by Danny Hayes. Only Randy Mabe’s 2005 Rockingham gobbler with 1.9375-inch spurs was longer. 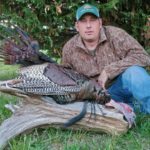 Joe Fuller owns the N.C. and world-record multi-bearded gobbler mark for a 2008 eight-bearded Edgecombe County bird that scored 195.500. 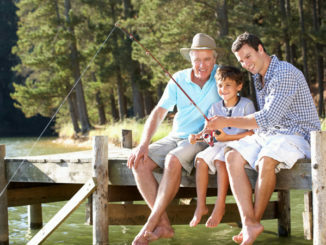 Craig Holt of Snow Camp has been an outdoor writer for almost 40 years, working for several newspapers, then serving as managing editor for North Carolina Sportsman and South Carolina Sportsman before becoming a full-time free-lancer in 2009.